Last year was a year of struggle for me in my business. My main site got hacked and as a result I lost my Pinterest account connected to it. After a few weeks of back and forth emails without any results, I decided to start over, and this time secure my site with the help of Sucuri. 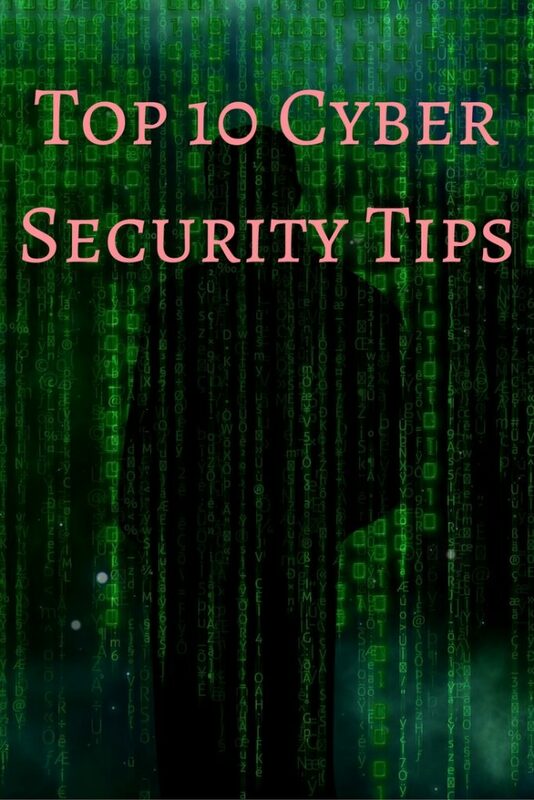 Today I want to share with you my top 10 cyber security tips, so you and your web properties can stay safe this New Year. 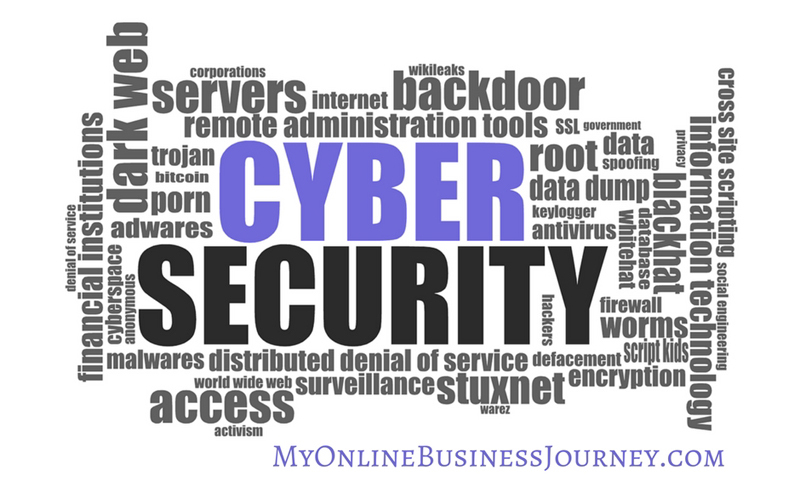 Many people are put off with the term cyber security. They think it involves highly technological processes and elaborate computer knowledge. Not at all. Cyber security is about identifying threats and taking measures as simple as creating an indecipherable password. There is nothing too technical about that. In fact, cyber security measures are all too simple to follow. Check out the following cyber security safety tips. This should be a given, but so many still use passwords that are way too easy to guess. Avoid using names, birthdays, addresses, and other personal information as password. Do not use a word found in the dictionary as well, since hackers have found a way to decipher dictionary-generated passwords using certain tools. In general, a good password is at least eight-characters long and should be hard to crack. You can combine upper and lower case letters, numbers, and symbols. One good practice is to form a password from a phrase. For example, you can create t1$!C4gtMpSd from “This is so I can’t forget my password.” You can use other methods with which you can form unique and cryptic passwords. This is important especially if, at some point, you have to disclose your password. Remember not to write it down, or if you need to, discard the paper immediately. You never know the danger negligence can impose on your security. Unsolicited emails are sometimes the onset of cyber attacks. Remember not to open attached files from unknown senders, as they may contain malware that can open backdoors for hackers. Clicking on the links can also direct you to some compromising websites, so be cautious. If a link looks suspicious, look it up on the web and do a quick research. Avoid giving information to unknown senders as well. The rule of thumb is to ignore seemingly malicious mails. Do not reply to and forward them. It is very important to have anti-virus and anti-spyware software and to keep your firewall on. Poorly secured systems are open doors for attackers and intruders, but these software programs keep viruses and spyware from penetrating and crippling your system. The firewall, on the other hand, guards your system from unauthorized access to your computer. Some operating systems allow automatic security updates. Check if yours have this option. These files do not undergo scanning and might carry security threats to your computer. Block pop-up ads and windows to close an entryway for malware and other forms of attack. More often than not, these free downloadable files are loaded with threats. Before you download, make sure the website is a credible source. Remove any tool, application, or program that is not used. Check also unused default programs installed on your operating system. It’s better to have few programs than have many but unused ones, which can only slow down your computer and be an opening for malicious attacks. It’s very important that you keep an up to date backup of your data. It can be the difference between a very stressful time (if your computer dies and is attacked), and a nice, easy, thought out recovery of what’s important to you. Update your applications as soon as they get a patch or update, to keep any unsavory activity off your computer. A poorly secured computer runs the risk of being hijacked and left as a zombie machine. Secretly, the hacker uses this computer to gain access to personal and confidential accounts and information. Next thing you know, your credit card has been used for unauthorized purchases, your savings account has been ransacked, your competitor has spied on your company, and the list can go on and on. But some simple and easy-to-follow cyber security tips can eliminate the possibility of falling prey to any of these cyber crimes. Now, if you want to keep your WordPress sites safe form hackers, make sure you check out the WP Lockdown.